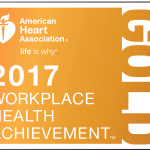 "Well-being drives our culture at Humana – for our associates and all the people we serve – so we’re honored to receive this recognition from the American Heart Association"
LOUISVILLE, Ky.--(BUSINESS WIRE)--Humana Inc. (NYSE: HUM) has been honored with Gold status in the American Heart Association’s Workplace Health Achievement Index, placing the company’s comprehensive workplace health efforts among the best in the nation. The Workplace Health Achievement Index scores companies in seven areas: leadership, engagement, programs, policies and environment, partnerships, communications, and reporting outcomes. The Index is a product of AHA’s CEO Roundtable, which includes Humana President and CEO Bruce Broussard. The Roundtable is dedicated to gathering and sharing the best evidence-based approaches to workplace health to improve the well-being of our nation’s companies, their employees and communities. Healthier Days: Humana’s employee population has seen an improvement in mental and physical health as measured by the U.S. Centers for Disease Control and Prevention’s (CDC) Healthy Days. The number of unhealthy days in a given 30-day period went from 5.6 in 2014 to 5.2 in 2016. Declining risk. Employees with Humana since 2012 have fewer health risks on average than three years ago, with 7 out of 10 people either sustaining or improving their health risk profile. The percentage of employees who had elevated blood pressure declined by 33 percent from 2012 to 2016. Stress: Reported levels of elevated stress declined approximately 10 percent from 2015 to 2016, indicating increased resiliency in the employee population. Engagement. Humana has seen world-class employee engagement levels -- in the top 10th percentile globally -- for the past five years. Each of those years, a top driver most correlated with engagement has been the company’s commitment to employees’ well-being. Leader commitment. 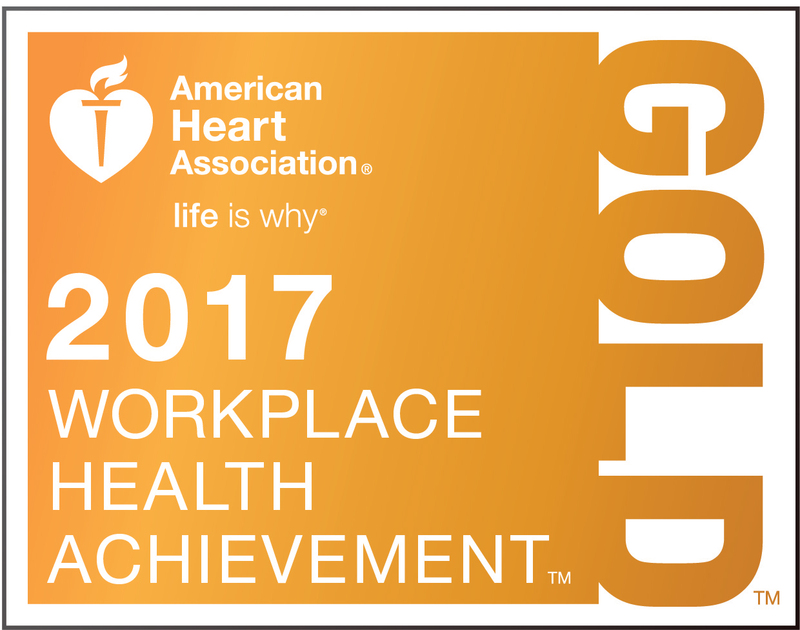 Approximately 9 out of 10 employees say Humana is committed to creating a work environment that contributes to their health and well-being. Humana employees also enjoy benefits like flexible work arrangements, financial planning and network resource groups. Humana’s health and wellness rewards program, Go365, offers personalized activities, tracking, support and rewards to encourage healthier lifestyles. Humana employees are allowed time off to volunteer, and the response has exceeded expectations. By the end of 2016, 47 percent of employees had logged volunteer time. In addition, fun events like the annual 100 Day Dash keep employees moving and allow them to challenge and encourage one another. In 2017, Dashers logged 8.3 million miles of steps – enough to circle Earth over 330 times. More than 23,000 people participated in 2017. This focus on holistic health means Humana employees have fewer unhealthy days, less stress, and more engagement at work, creating a passion for well-being that helps Humana inspire and encourage others.